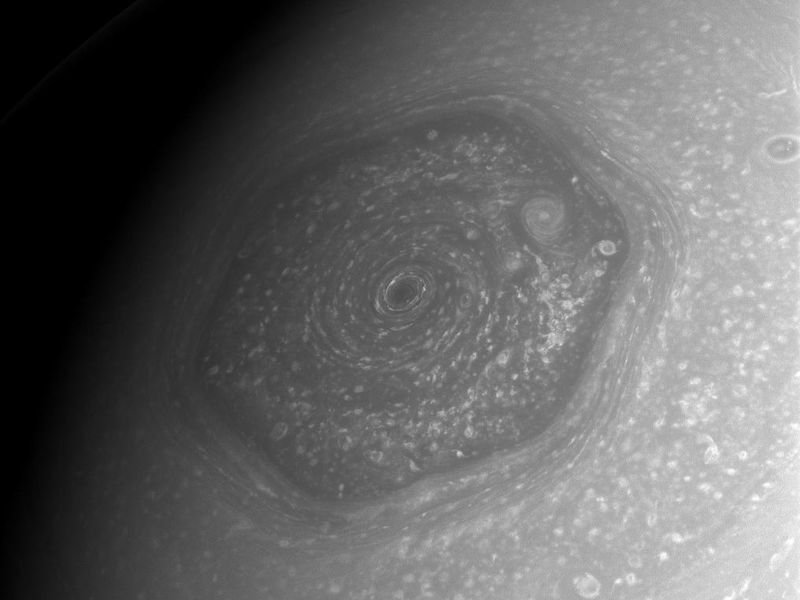 The weather forecast for Saturn's north pole: storms. Lots and lots of storms. Here, the area within Saturn's north polar hexagon is shown to contain myriad storms of various sizes, not the least of which is the remarkable and imposing vortex situated over the planet's north pole. 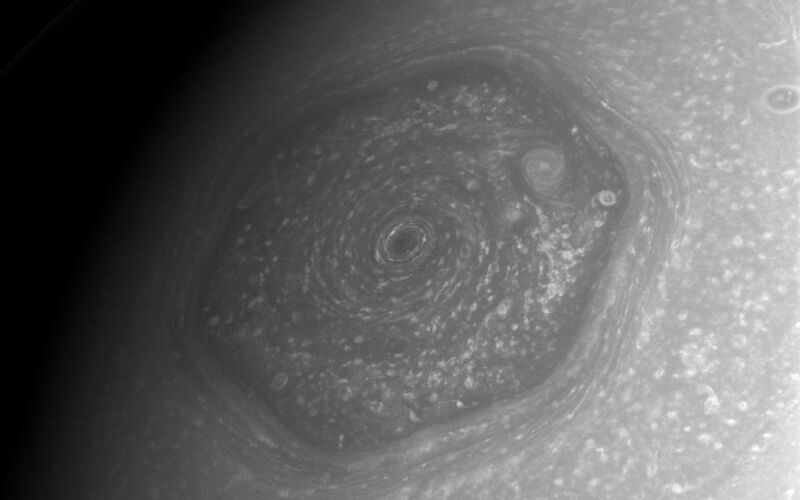 The north polar hexagon was first observed by Voyager. To see more of the hexagon, see PIA10486 and PIA11682. This view is centered on Saturn's north pole. North is up and rotated 33 degrees to the left. 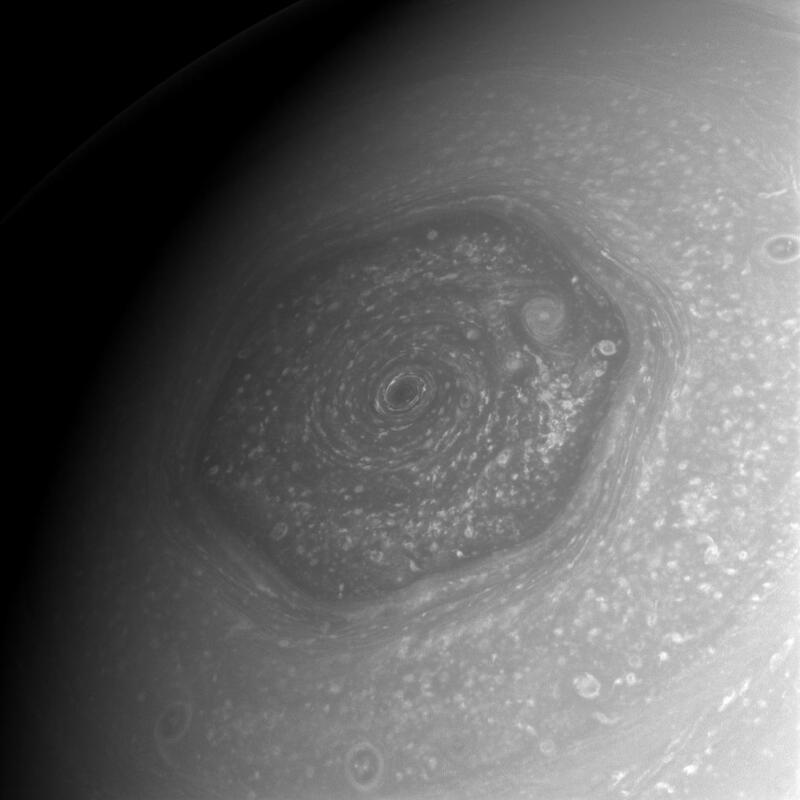 The image was taken with the Cassini spacecraft wide-angle camera on June 14, 2013 using a spectral filter sensitive to wavelengths of near-infrared light centered at 752 nanometers. The view was obtained at a distance of approximately 476,000 miles (766,000 kilometers) from Saturn and at a Sun-Saturn-spacecraft, or phase, angle of 45 degrees. Image scale is 26 miles (42 kilometers) per pixel. For more information about the Cassini-Huygens mission visit http://www.nasa.gov/cassini and http://saturn.jpl.nasa.gov.